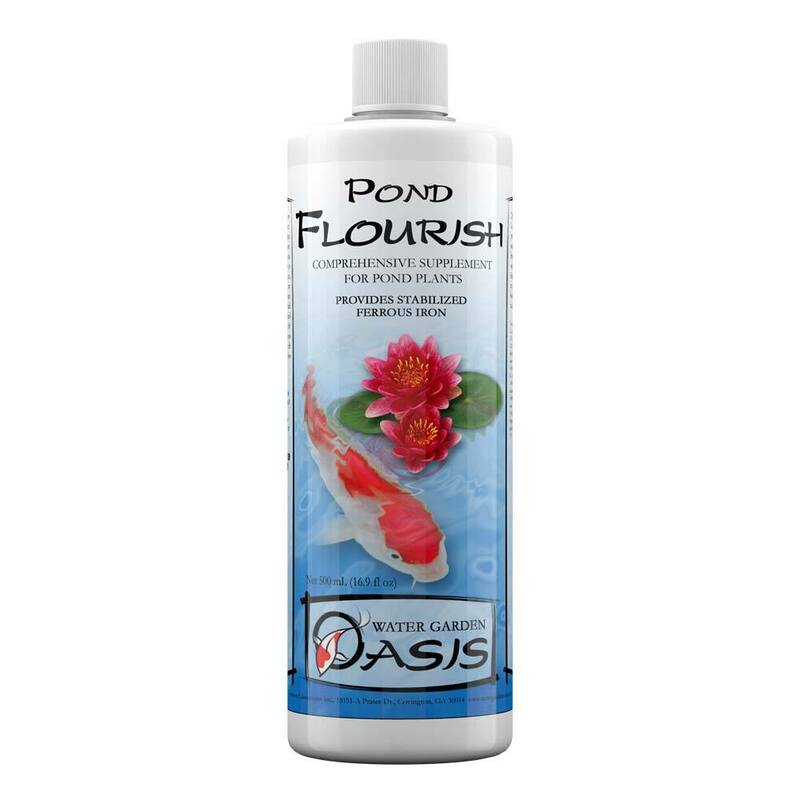 Pond Flourish™ is a liquid growth stimulator for pond plant stems and leaves. 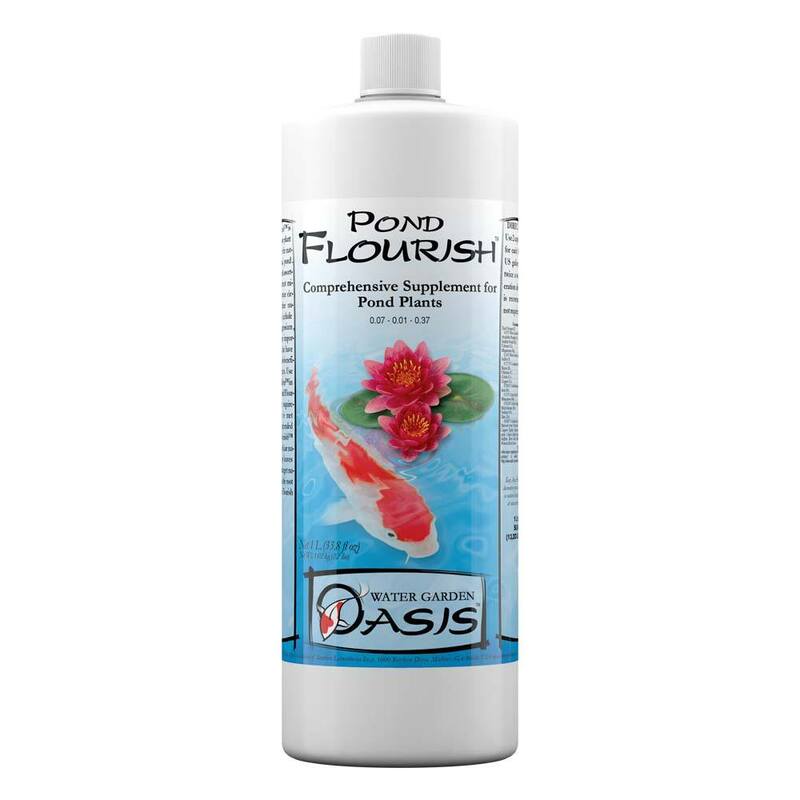 Seachem Pond Flourish contains a broad spectrum of essential trace elements, vitamins, and amino acids. It is rich in iron, manganese, magnesium, calcium, and potassium. 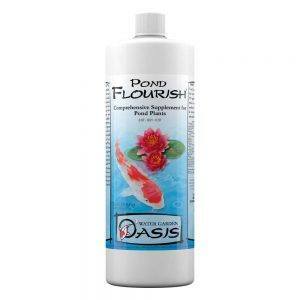 In addition; it contains no phosphates or nitrates that would promote algae proliferation. A 2 Liter size treats over 100,000 US gallons.